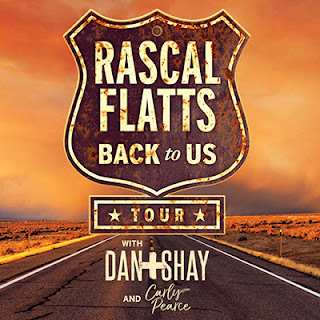 Rascal Flatts Back to Us Tour with Dan + Shay and Carly Pearce Presale Code! Tickets are on sale for a number of stops on Rascal Flatts Back to Us tour that will feature Dan + Shay and Carly Pearce! For those shows that are on presale try code "TEQUILA" for early access!